Parents of picky eaters may sometimes wonder whether their child will grow into adulthood still eating only pizza and peanut butter. Thankfully, that’s usually not the case. My older son used to hide cans of green beans in random spots around the house so I couldn’t cook them, and my younger son would willingly eat only one vegetable: corn. Today, they’re both high-level foodies who love to try anything that’s new and edible. Rainie Carter, a pediatric dietitian at Children’s of Alabama, said it’s true that most children eventually expand their culinary horizons. But not always. With some children, such as those with diabetes or gluten intolerance, it’s clear that help from dietitians like Carter is needed. But unhealthy diets can cause less obvious problems, too, such as a decrease in activity levels and an inability to concentrate at school, she said. 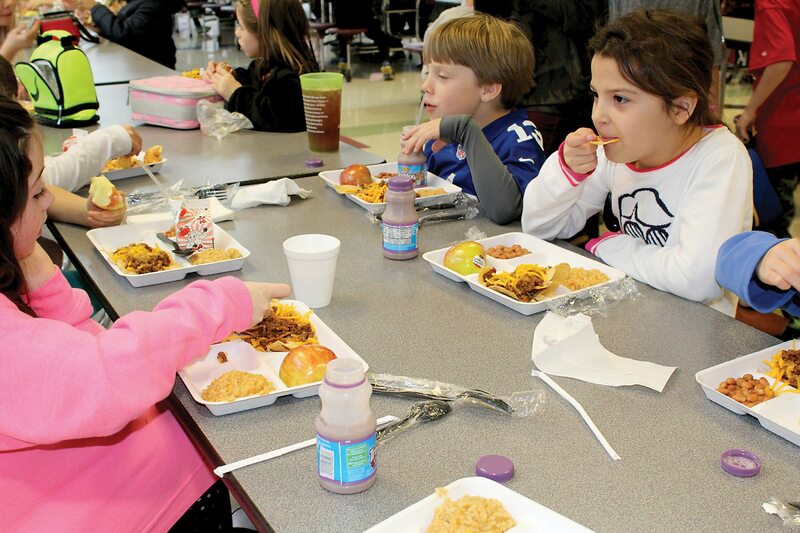 While most kids are eventually going to eat if their stomachs are growling, parents often hesitate at the thought of sending their kids to bed hungry, Carter said. There’s a way to make sure that doesn’t happen without giving in to your child’s pickiness. Make food fun. “Go outside the sandwich, chips and drink combination for lunch,” Carter said. For example, kids like “everything on a stick,” she said. Thus, if your children turn up their noses at a plain old apple, try putting apple slices, strawberries, grapes and other fruits on a skewer. Check out blogs to get creative ideas. Glue Sticks and Gumdrops has a great recipe for dinosaur bento lunch boxes. You cut cheese into shapes using dino cookie cutters, put them into paper cupcake liners and add spinach leaves, pretzel sticks and olives for a woodsy look. Who doesn’t love a tasty T-Rex for lunch? Fast food may be a fact of life for today’s busy families, but Carter recommends limiting fast food to one time a week or for special occasions. “Picky eating often comes from eating out, because children can pick what they want,” she said. “Tell them, ‘You can have this or that’ so they don’t make the same choices every time.” And choose grilled options when they’re available, she added. Learn more from your good friends on the Internet. Carter said one site to check out is www.kidshealth.org. In the site’s nutrition and health section, you’ll find healthy recipes, a Body Mass Index calculator, and answers to frequently asked questions such as “How can I get my child to eat vegetables?” and “Why is breakfast so important?” The USDA’s www.choosemyplate.gov has specific information about the five food groups and recommended daily amounts. If all else fails – and this is my own advice and not dietitian-approved – turn on kid-centric cooking shows such as “Rachael vs. Guy: Kids Cook-off” on Food Network or “MasterChef Junior,” if you can stomach host Gordon Ramsay. YouTube has lots of videos starring kids in the kitchen, too. Who knows? You may be turning a once-picky eater into a future Michael Symon or Julia Child.